Long delays are difficult for applicants. 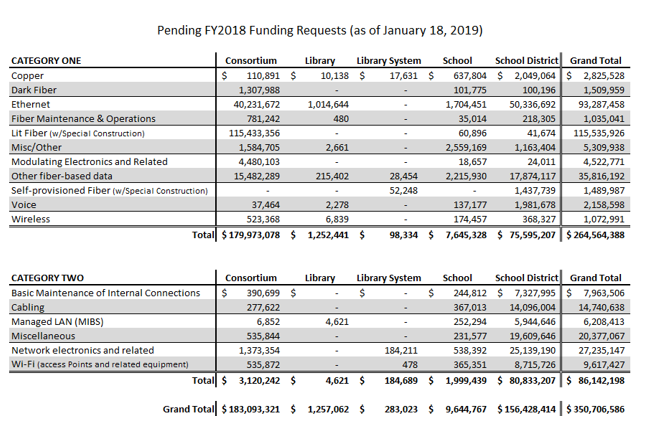 Entering the eighth month of the funding year, many of them are balancing unexpected delays and cash flow challenges, along with the difficulty of preparing the funding year 2019 application with questions still pending from last year. 70% of the pending funds are for Category One fiber-optic based data services. 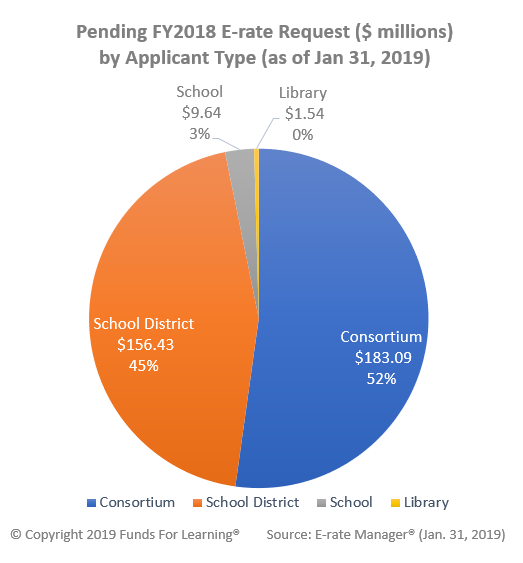 52% of the pending funds are tied to consortium applications. 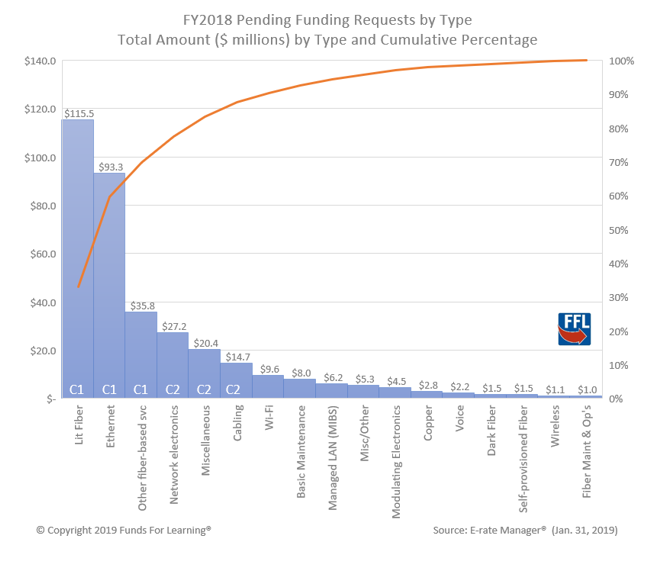 The charts and table below illustrate the breakdown of the pending requests by service and applicant type. A full list of the applicants with pending applications is available for download here.